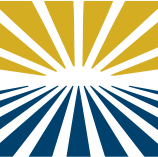 In 2008, the Robert Mondavi Institute for Wine and Food Science registered with the Library of Congress and became a publisher. The resulting books were made possible with the support of Fritz Maytag, president of Anchor Brewing Company. The goal of the partnership was to re-issue influential books of historical significance to American agriculture. The series includes four titles, covering histories of wine, cheese making, vegetables and olives. The books are available at the campus bookstore, and online through UC Davis Stores. Drawing on American and European sources, Rixford read all he could find on the subject of winemaking and organized the material he discovered into The Wine Press and the Cellar, published originally in 1883. 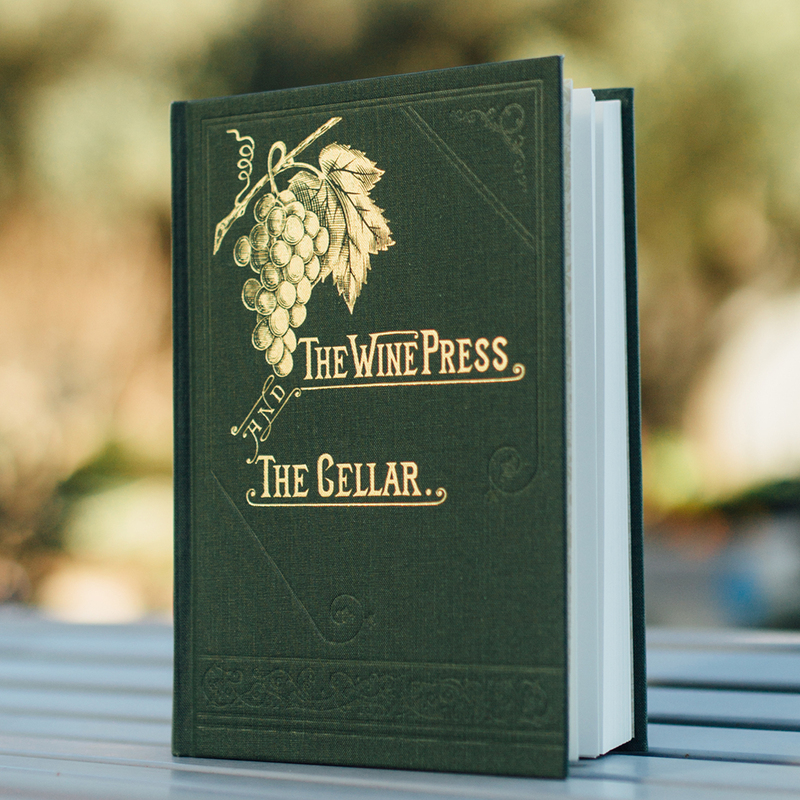 The Wine Press and the Cellar was the first technical manual for winemakers. Rixford notes in the preface his hope that in the book "that the beginner will always find a safe course pointed out to him … and that the experienced viticulturist will have brought to his mind many things forgotten." Paul Draper, winemaker at Ridge Winery, authored the book’s foreword. This reproduction includes the book’s fifty-seven illustrations. 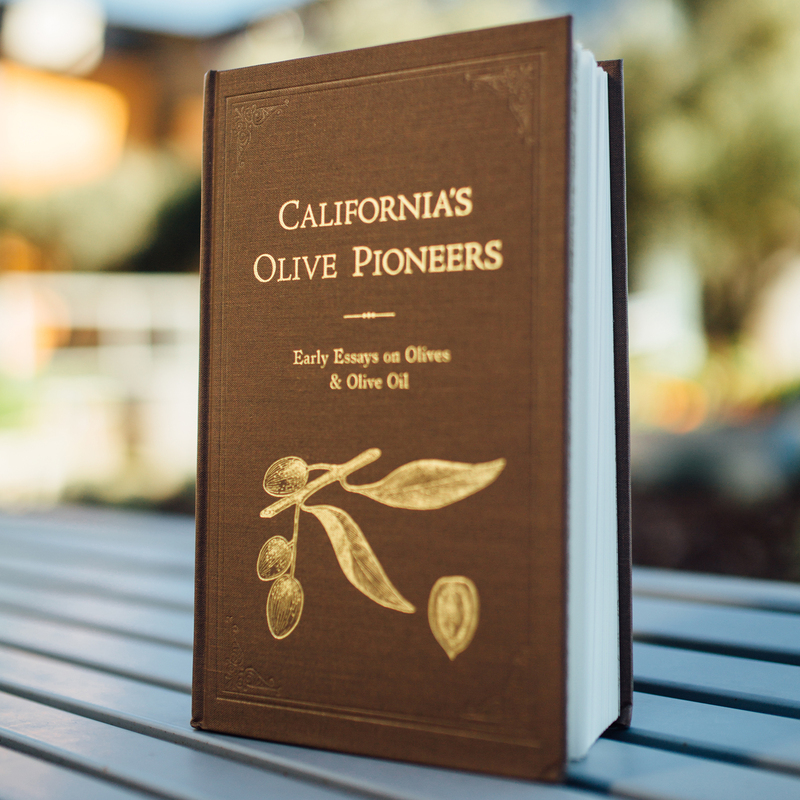 California’s Olive Pioneers: Early Essays on Olives and Olive Oil contains 13 essays on olives written by luminaries like Benjamin Redding, John Bleasdale and Eugene Hilgard. The introduction is by Judith Taylor, who wrote The Olive in California: History of an Immigrant Tree. The essays were collected from a variety of late-19th-century newspapers, magazines, bulletins, journals, pamphlets and books. California’s Olive Pioneers was a finalist in the 2010 Benjamin Franklin Awards Program of the Independent Book Publishers Association. The book’s endpapers from a rare copy of University of California horticulturist Edward Wickson’s "The Fruits of California and How to Grow Them" (1891). The book combines two small books by John Wright Decker, Cheddar Cheese Making (1893) and Elements of Dairying (1903). 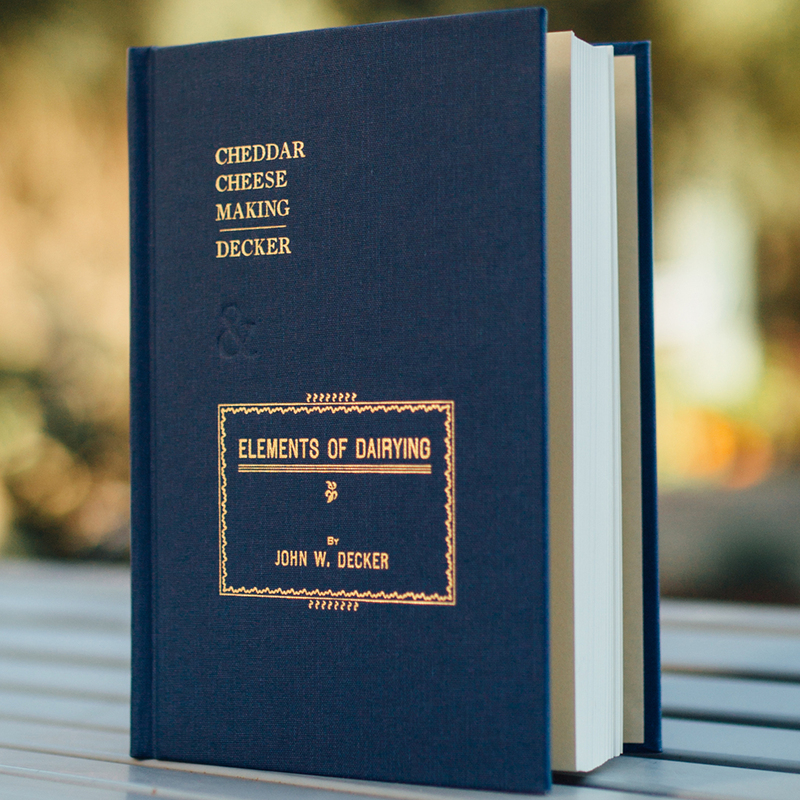 In the resulting volume, Cheddar Cheese Making & Elements of Dairying, Decker offers a unique firsthand account of how cheese was made in the late 1800s, a time when science was just beginning to unravel the mysteries of cheese making. The experiences of his students were not unlike those faced by today’s farmstead and artisanal cheese makers. Decker was an instrumental force in the United States and Canada, establishing the idea that to develop a better overall dairy industry, cheese makers had to produce better cheeses—and better cheeses come from educated cheese makers. First published in 1897 by the Pacific Rural Press of San Francisco, The California Vegetables in Garden and Field appeared midway in Wickson's career as an agricultural writer. 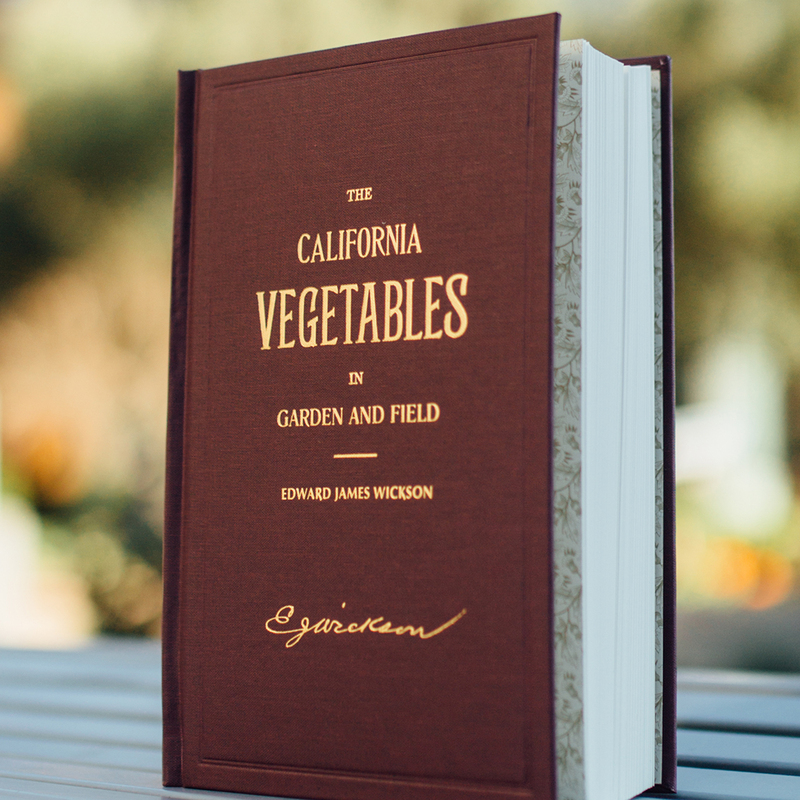 Instrumental to the early diversity of vegetable production in California, it was Wickson's third of seven best-selling books. Original notes, manuscripts, letters, photographs, articles, and newspaper clippings of this pioneer agronomist are included in the foreword and afterward written for this special edition. This edition features typography that mirrors the original text and layout, and photographs and endpapers reproduced from pristine copies of the rare first edition of this book.